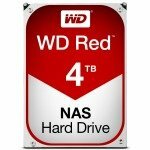 Store millions of files using this WD Red 3.5-inch 3TB NAS hard drive. The low-profile height reduces the room it takes up in a variety of storage solutions, while the 6Gbps maximum storage transfer speed combines with the 2ms access time to ensure you can retrieve documents ultra-quickly. Designed for operating environments where storage is accessed 24/7, this hard drive has been tested with eight-bay storage solutions and is compatible with NASware 3.0 software. 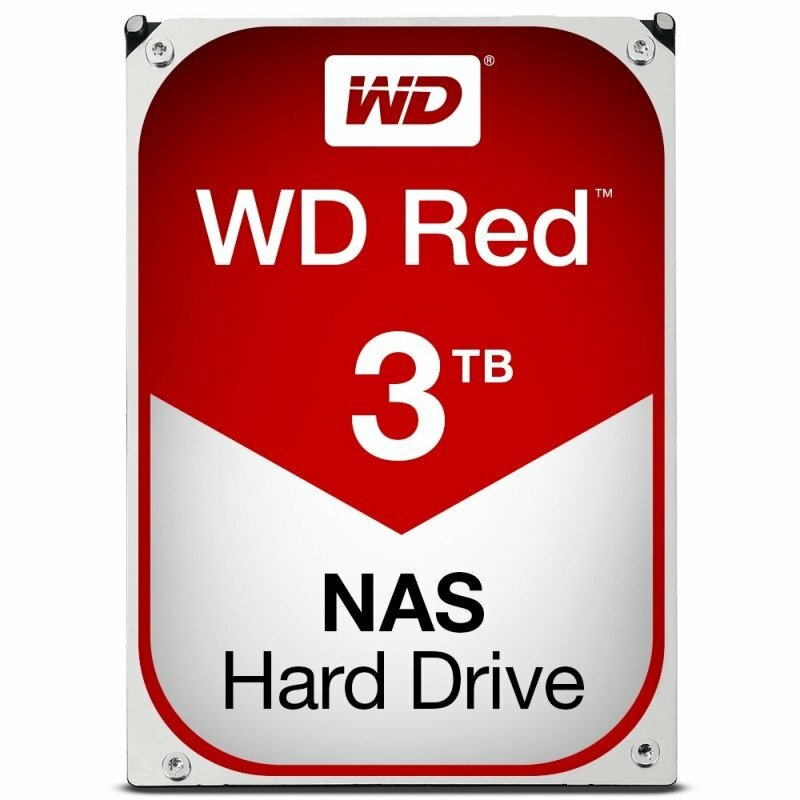 This WD Red 3.5-inch 3TB NAS hard drive has a 64MB cache to ensure data is easily stored up for retrieval or writing. The WD formula of success has led the growth of the Red NAS range into higher capacities and expansion into new 2.5-inch solutions. WD now offer a broader, more comprehensive portfolio of NAS hard drives, it is not just about NAS drives any more, it is REDvolutionary. 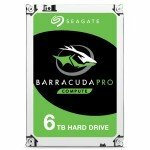 8 out of 10 NAS Hard Drives sold are WD Red NAS Drives. Every component, line of code, and product decision was built on WD's passion and determination to deliver the best NAS experience.The next generation of WD Red hard drives delivers on this promise with massive capacity and NASware 3.0, which further improves drive reliability and protects your data in the event of a power loss or power disruption. In all the cultures around the world, first impressions are what leave a mark. With superior technology that is driven to impress, WD Red is a reflection of the most extensive NAS partner compatibility-testing list that is available on the market. That means when you buy a NAS enclosure, you can trust that WD Red will be the most compatible drive available. Our pride is in our product and our vision is shared with our customers. WD Red's NASware 3.0 experience with increased compatibility makes sharing from your mobile device, computer, TV, stereo and more an instant gratification. And with capacities now available in 4 TB, a 5-bay NAS system can hold close to 20 terabytes of data! Increase the efficiency and productivity of your small business with WD Red hard drives for your 1 to 5 bay NAS system. WD Red comes equipped with NASware 3.0, which increases system compatibility allowing for seamless integration with your existing network infrastructure. Add value to your business by enabling your employees to quickly share their files and back up folders reliably with WD Red NAS hard drives in your NAS solution. WD's exclusive technology, NASware 3.0, makes WD Red thrive in the demanding small-NAS environment. By adding WD Red to your NAS system, not only is everything more efficient and reliable, you get to enjoy a REDvolutionary NAS experience. WD's enhanced dual-plane balance control technology significantly improves the overall drive performance and reliability. Hard drives that are not properly balanced may cause excessive vibration and noise in a multi-drive system, reduce the hard drive life span, and degrade the performance over time. Since your NAS system is always on, a highly reliable drive is essential. With a 35% MTBF improvement over standard desktop drives, the WD Red drive with NASware 3.0 is designed and manufactured to be a more reliable and robust solution. WD keep power consumption low, which keeps your NAS system happy, and your wallet too. Need help? 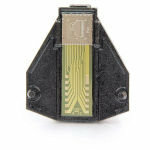 WD offer premium support. Features IntelliPower, Advanced Format technology, NAS compatible, NASware technology, 3D Active Balance Plus, S.M.A.R.T.